The first review series in virology and published since 1953, Advances in Virus Research covers a diverse range of in-depth reviews, providing a valuable overview of the field. The series of eclectic volumes are valuable resources to virologists, microbiologists, immunologists, molecular biologists, pathologists, and plant researchers. 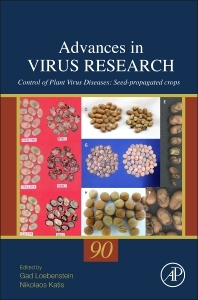 Volume 90 features articles on control of plant virus diseases. Professional virologists, from professors to graduate students, microbiologists and infectious diseases specialists. Good coverage of the subject.